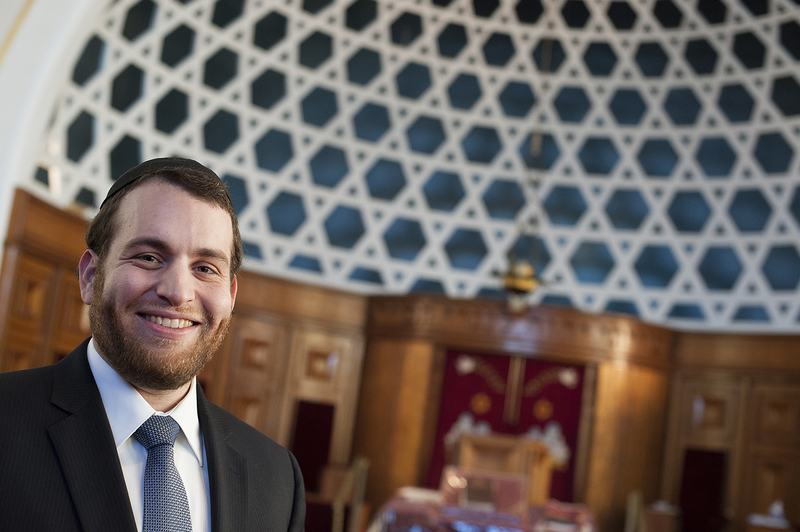 Rabbi Isaac Elchanan Theological Seminary (RIETS) and the Yeshiva University community will celebrate the ordination of its largest class of musmakhim [ordained rabbis] at its Chag HaSemikhah Convocation on March 23, 2014. The record class of rabbis represents an internationally diverse group, hailing from five continents and more than 50 North American cities. While most will remain engaged in either full-time post-semikhah Torah study or religious work—Jewish education, the pulpit, outreach or non-profit work—many will pursue careers in other professions, including medicine and law. In the weeks leading up to the celebration, YU News will introduce you to several of these remarkable musmakhim. Rabbi Tsvi Selengut, a native of Teaneck, NJ, was only three months into his first full-time position in the rabbinate when he faced the challenge of a lifetime. After completing his training, he secured a pulpit position as rabbi of Congregation Ohab Zedek of Belle Harbor, NY. Then Hurricane Sandy struck. The storm completely flooded the shul’s building, destroying its entire bottom floor, beit midrash [study hall] and social hall, with damage estimated at more than one million dollars. But Selengut and the congregation refused to abandon the shul. “Although the traumatic days after the storm were very overwhelming, I found that was when my leadership was needed most,” he said. The biggest challenge was balancing the many unexpected tasks that became a part of his everyday life: Selengut found himself responsible for everything from distributing funds to individuals whose homes had been destroyed and working with government officials to speed up recovery operations to offering rabbinic counseling to despairing congregants. “I learned very quickly how powerful our tradition is in inspiring people in the most difficult situations,” he said. Selengut took his role as spiritual leader very seriously. He sent countless emails reminding the community that it was just that—a community, with or without a building—and tailored his sermons to include messages of hope and inspiration. “These written ‘signs of life’ turned out to be the most crucial action I took to keep the community going,” he said. In the months that followed, the shul resumed its operation in stages, holding services first in private homes, then in a trailer in the shul’s parking lot, and finally back into the upper floor of the Ohab Zedek building itself when it regained power and electricity. Meanwhile, Selengut and others held events to raise money for the shul’s repairs, including a relief concert this past summer. By Rosh Hashana of this year, Ohab Zedek was able to unveil a new beit midrash. Other renovations are already underway. “It is an incredible and exciting story and it even has a good ending,” said Selengut. 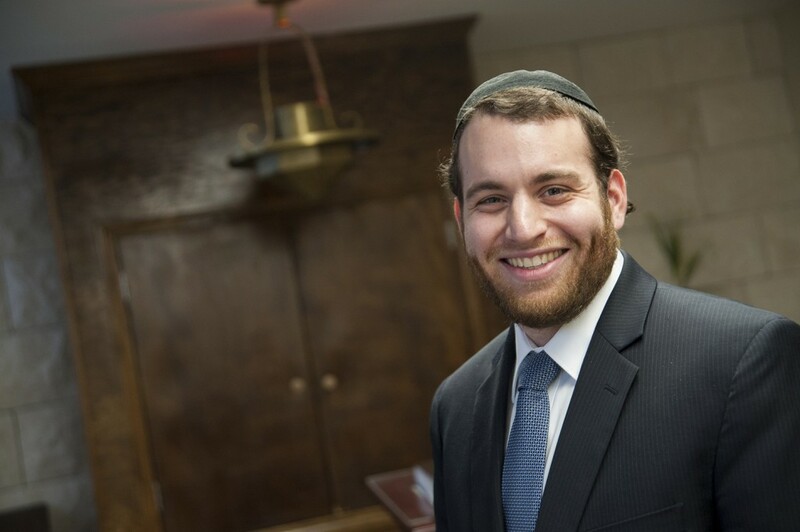 Now, as rabbi at Ohab Zedek and shoel u’meishiv at DRS Yeshiva High School for Boys in Woodmere, NY, he plans to continue his career in both fields: the pulpit and education. “I love having the opportunity to teach Torah to my fellow Jews and give counsel through a Torah perspective when times get tough,” he said.